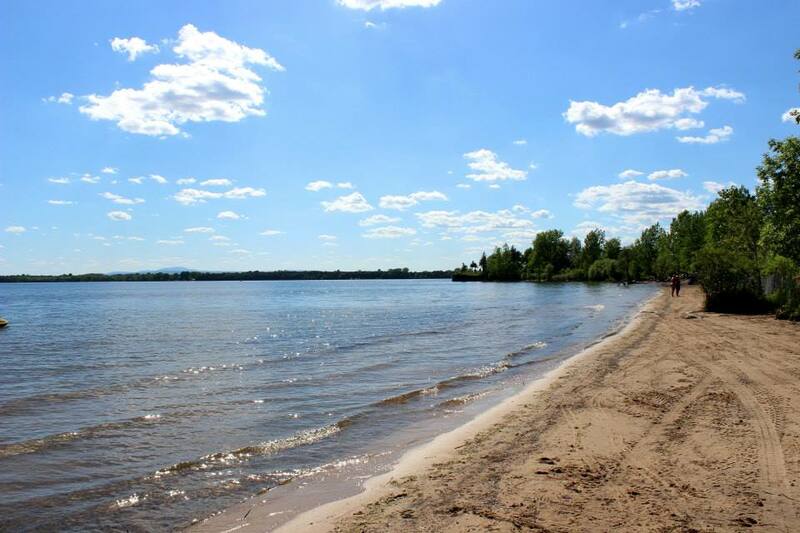 One of my favorite places to enjoy Lake Champlain is Alburgh Dunes State Park in Alburgh, Vermont. 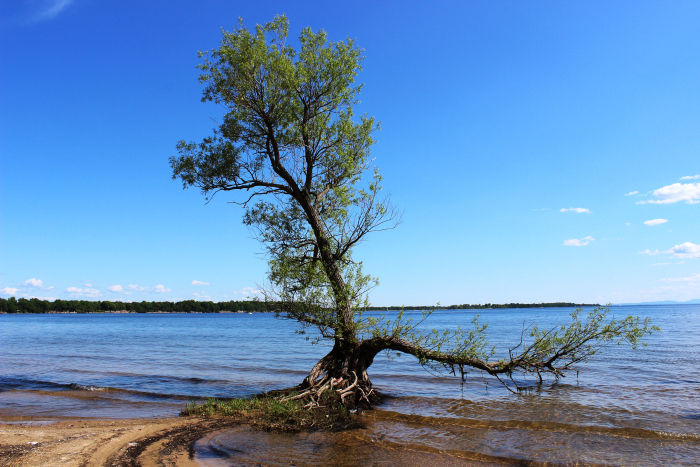 It’s a bit of hike, being almost an hour from Burlington, but the trip affords gorgeous views of the lake while driving through the Champlain Islands. The entrance fee is reasonably priced at $3.00 per person, and the park provides picnic tables, grilling areas and restrooms (port-a-potties). If you want time away from the usual weekend beach crowds, then this is the beach for you – I spent an entire Saturday afternoon at this beach, and saw less than 20 people!